Reza Ebrahimi is a business and real estate attorney with a generalist background, including several years of commercial litigation in New York City and Long Island courts, giving him a unique and comprehensive set of skills, knowledge and expertise to successfully handle all aspects of business and real estate law. 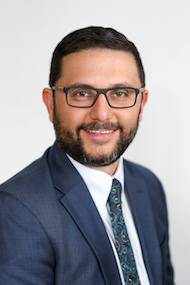 During law school, Mr. Ebrahimi worked as a law clerk at the New York State Attorney General’s Office in both the Securities and Real Estate Investment Protection Bureaus. He also clerked at the New York City office of the New York State Department of Environmental Conservation. Mr. Ebrahimi is admitted to practice law in New York State and is a member of the New York State Bar Association.